The dark streets of London are increasingly dangerous as murderers, mystically devoid of emotion, begin to impact the lives of Angel and Faith. In unraveling this new mystery, the pair follow clues in the Watcher's Files to a demon from Giles's past and a "child" from Angel's. Then, Drusilla returns to her homeland and becomes the hot new vampire in the underground scene! While Angel faces Dru, Faith must deal with issues that reawaken her inner turmoil-a visit from her deadbeat dad, who's looking for a favor, and a troubled Slayer hell bent on revenge. 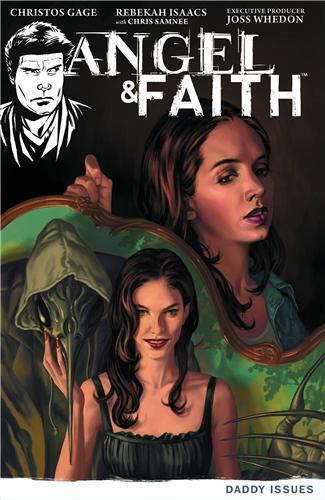 Collects Angel & Faith #6-#10.